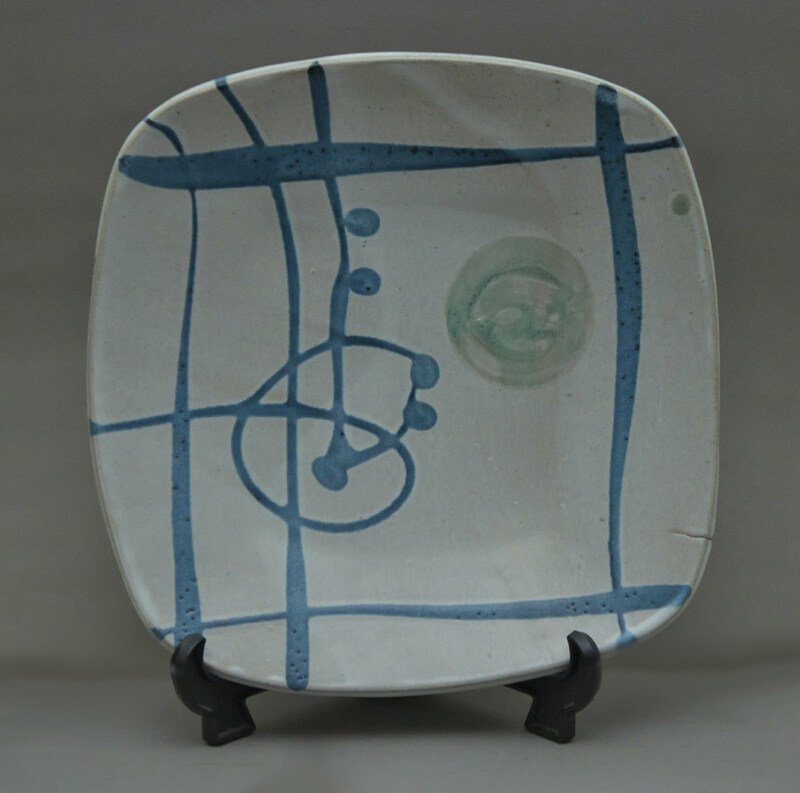 Wayne Ngan stoneware footed platter, 13″ sq. Produced 1970’s. Wayne Ngan, Hornby Island, B.C.